Browse: Home » Stop 19th Minute Applause! 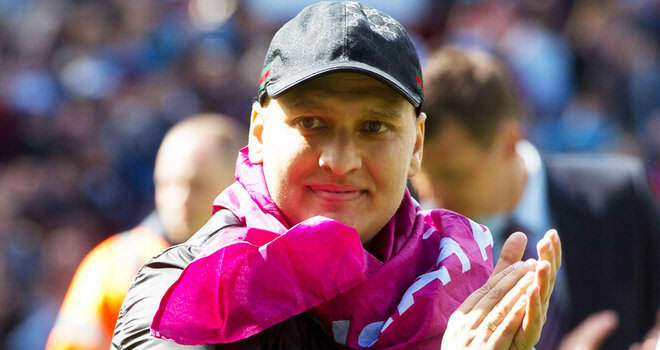 Stiliyan Petrov has asked the Aston Villa fans to stop the 19th minute applause in support of his recover from acute leukaemia. He has told Aston Villa fan’s, “We all have to move on.” We have been supporting Petrov last season during his battle against leukaemia, Petrov is now in remission following and is currently working with Gordon Cowans Under-21 squad. Even manager Paul Lambert has urged supports to move on. It was a nice gesture last season, but we’ve got to move on. Petrov is feeling better and I am very happy that he has found a job at Aston Villa. “Fans have asked me about it and I want to make clear that it was a great thing from the Villa fans, an unbelievable gesture which meant so much to me and my family through some of the toughest periods we had to endure,” Petrov added. “The fans have shown me so much love, support and respect and I will hold this forever in my heart. “But we all have to move on and I have no problem with this. In fact, I know they will always be beside me, they’re with me and I’m in their thoughts. That’s a precious and very humbling thing. “When I went through the toughest times they stood beside me and I’ll never forget this. Petrov will be playing in a Stiliyan XI Vs Celtic XI charity match on September the 8th. Paul Lambert will also be taking part in the game. Fully agree, it was a fantastic spontaneous gesture, and he couldn’t have asked for any more of the fans at Wigan away, that was superb. Enough is enough now. HOPEFULLY, mission completed for Stan. agreed I was hoping it would end this season, petrov no doubt wants to move on with his life, he knows we are all behind him. Interested in seeing what the Stylian XI will be.